Studio: At SoundMarket Studios we offer award winning service with great gear. Mobile: SoundMarket Live overs 24-track recordings of your live events. Live sound: Ideal for small live events. SoundMarket Live has premier gear for your gigs. 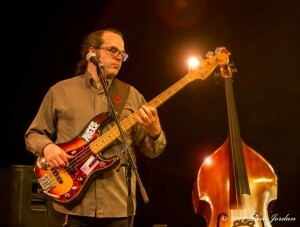 Lessons: I teach electric bass and acoustic upright bass. BYO Band: Build Your Own Band can provide a band customized for your event.